bCasino Review: Get 50 Free Spins and £500! 91% of new players recommend this casino 45 new players chose this casino today! 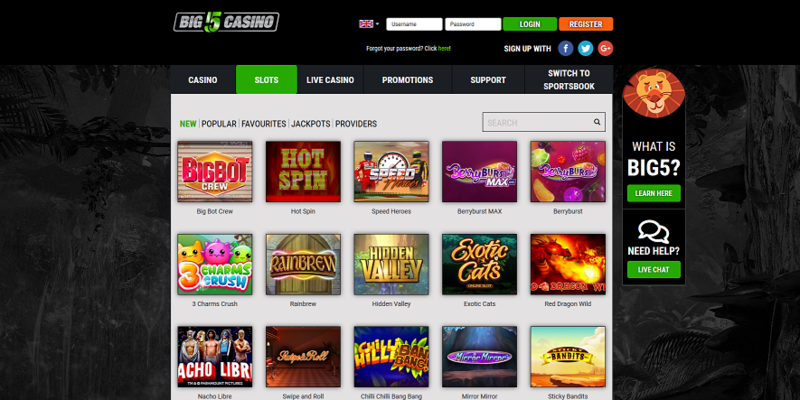 Launched in 2018, bCasino is a new British site to play real money Casino games online. It is licensed by the UK Gambling Commission and has hundreds of games by popular developers like NetEnt and Play’n Go. In this bCasino review, we will take a closer look at its games, bonuses, and software. At bCasino online, all new players are eligible for a Welcome Bonus. In total, you can receive up to £1,200 and 100 free spins with your first three deposits. Deposit at least £20 and receive a 100 percent bonus of up to £500 + 50 free spins. bCasino grants you the bonus money and spins only if you use the code bNEW, so don’t forget that. In case you want to play without the bonus, simply don’t enter the code when making your deposit. Visit bCasino for the full bonus T&Cs. 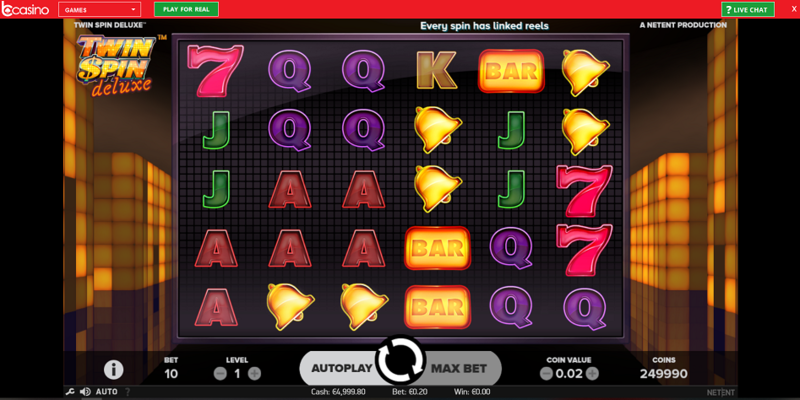 The page of bCasino has a decent user interface. It’s easy to navigate and has a nice colour palette of red and black. There’s nothing unnecessary to distract you - all you can see are the bonuses and the games. There are about 200 titles in total. Not the biggest selection I’ve seen, but there is something for everyone as the games are quite varied. The developers include some of the most famous names like Play’n Go, NetEnt, and Fugaso. The Slot section is the biggest one. Here, the games range from classic Vegas Slot machines to the newest, most modern 3D Slots. As for the Card & Table Games, the two biggest categories are Roulette and Blackjack. There are also a few versions of Video Poker, Money Wheel, and Scratch Cards. Every non-live game at bCasino has a demo version to play for free. * Important * Here are the territories where you can access bCasino: Guernsey, Isle of Man, Jersey, United Kingdom, Gibraltar, Canada, Finland, Norway, Sweden. The game selection includes live versions of: Blackjack, Roulette, Baccarat, Lottery, and Casino Hold’em. With 66 live games on tap, bCasino is worth a visit if you’re a fan of Live Dealer Casinos. After all, there are a lot of rare games available, which would be difficult to find elsewhere. Here are a few of the titles that caught my attention: Baccarat Squeeze, Silver Blackjack, and Golden Ball: Gameshow Edition. If you want to play some mobile games at bCasino, just visit their site with your smartphone. It is fully adapted to be accessed with your Android and iOS devices. However, it is the only option for mobile users at bCasino. There is no bCasino app available to download. Luckily, having in mind that bCasino has only been launched this year, we might expect an application soon enough. There is a 24/7 live chat available at bCasino online. I contacted the operator a couple of times and got swift and professional answers. As a result, I don’t have any complaints about the chat. However, bCasino could use a FAQ section. Sometimes it’s quicker and easier to find an answer on a list rather than contacting the support. In this case, there is no other way to get help aside from the chat and email at support@bcasino.co.uk. bCasino is a decent real money gaming site targeted toward British players. It is mobile-friendly, offers a lot of monetary options, and a 24/7 live chat that will help you with all your questions. However, it would be nice to see more games at bCasino in the future. I found the Slot selection a bit underwhelming. On the bright side, there are enough Card and Live Games to satisfy anyone’s needs. There are many deposit options on bCasino. You can choose the most convenient one for you. New players only. £20 deposit minimums. Bonus split over first 3 deposits: 1st - 100% bonus up to £500 + 50 free spins; 2nd - 50% bonus up to £200; 3rd - 125% bonus up to £500 + 50 free spins. BONUS: 30X wagering deposit + bonus. £5000 max winnings. FREE SPINS: Book of the Dead only. Winnings given as bonus funds. 25X wagering. £100 max winnings. Full Welcome Package Terms below.